Can your company’s investors claim EIS relief on a convertible loan? What are the EIS and SEIS schemes? The Enterprise Investment Scheme (EIS) is one of the most widely-known reliefs for private investors wishing to make a tax-efficient investment in a company. The scheme has been around for several years and gives benefits to the investor such as income tax relief of up to 30% of the cost of the investment, and exemption from capital gains tax (CGT) on the eventual disposal of the shares where the company continues to qualify for the required period of time post investment. For investments in companies which have been carrying on their business for less than two years, the similar but separate Seed Enterprise Investment Scheme (SEIS) is available on the first £150,000 of investment, allowing income tax relief of up to 50% of the funds invested. So, can your company’s investors claim EIS relief on a convertible loan? This query is raised by many growing businesses seeking to raise EIS or SEIS finance, who may have some investors agreeing to participate in a funding round but the company unable to issue the shares at the present time. For example: where the valuation of the company for the round is yet to be determined and the company is waiting to close the round before determining the price. Whilst a non-EIS investor in this circumstance could provide a convertible loan to the company, many companies have questioned whether the same can be offered to their SEIS and EIS investors (where the rules concern both EIS and SEIS are similar the shorthand ‘(S)EIS’ is used below). One fundamental rule for (S)EIS is that cash must be paid to the company for shares which are fully paid up in order to obtain (S)EIS relief, and (S)EIS relief is not available where someone gives the company a loan which is exchanged for shares at a later date. On this basis a convertible loan in the normal sense would not be a qualifying investment for (S)EIS purposes. However, case law on (S)EIS has proved that there is no requirement for the company to issue shares immediately once the cash has been raised, providing it is clear from the outset that the cash is paid to the company for shares. On this basis it is possible for the investor and the company to enter into an Advance Subscription Agreement (ASA) which may, in part, have some of the flavour of a convertible loan without requiring the company to issue its shares immediately. A similar situation has been used in the US for many years as a Simple Agreement for Future Equity (SAFE). An ASA is not a loan to the company and cannot have any right to its repayment or for the investor to receive interest on the amounts advanced. It should, however, be possible for the investor to be able to subscribe for the shares at a discount on the price per share in the main round, which may be considered to provide the effect of a return on the advanced funds. HMRC has not produced guidance on the subject of ASAs but we are aware that they have seen many such agreements being entered into by companies seeking (S)EIS finance. 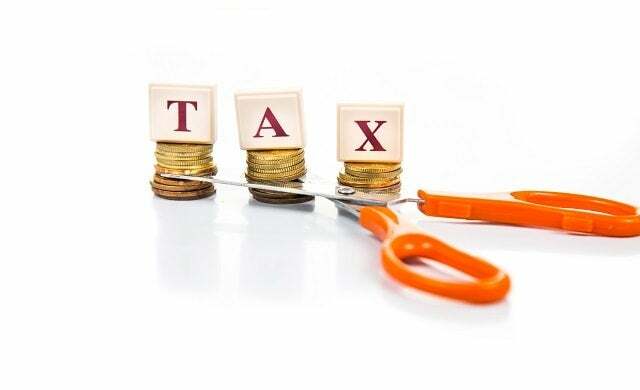 We understand that HMRC’s current position is that an investor investing through an ASA would not be prohibited from making a claim for (S)EIS relief where the terms for the advance purchase have the shares issued within one year of the arrangement, the fact that it is not a loan is defined, and the other requirements of claiming (S)EIS relief are otherwise met. Should the company be looking to receive Advance Assurance in relation to a prospective (S)EIS raise, the terms of the ASA should be sent to HMRC with the application. An ASA would not be suitable for all investors as it carries an additional level of risk: the qualifying period for (S)EIS relief is three years from when the shares are issued and not from when the funds were advanced. If the company goes into liquidation before issuing the shares (or just after) then this could be problematic and it would not be expected that the (S)EIS income tax relief would be available. The ASA is not suitable for investors who are looking for an actual interest bearing return and the option to convert, who may value these rights over and above any tax relief afforded under the (S)EIS. As the tax rules concerning the (S)EIS are complex, it is recommended that formal tax advice should be obtained for any company wishing to enter into such an agreement and any documentation is written up by the company’s lawyers. Paul Twydell is a corporate tax director with chartered accountants and tax advisers, haysmacintyre. Contact Paul at ptwydell@haysmacintyre.com or on 020 7969 5556.